Excitement and enthusiasm is radiating through the Utah State University Eastern Men’s soccer team, as their teammate Frank Debry signed to continue his education and collegiate career at the NCAA Division I, Eastern Illinois University. 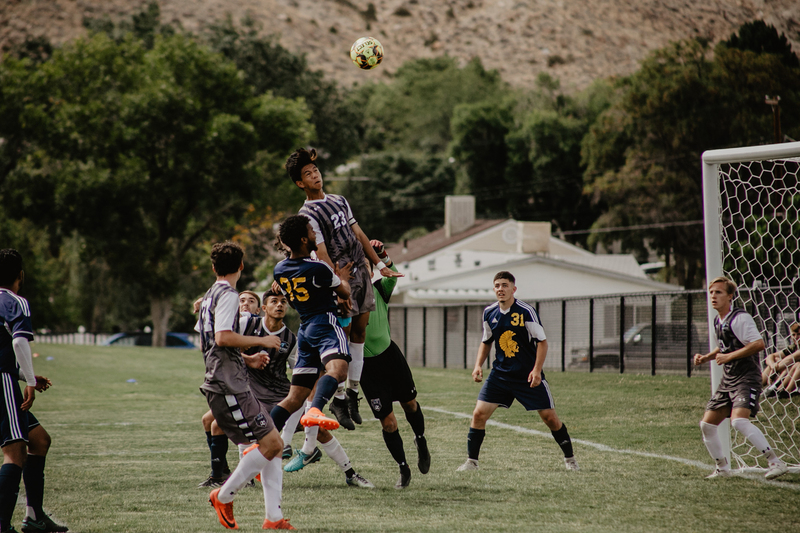 “We are very proud of him and thankful for the opportunity that we’ve had to coach him,” USU Eastern Men’s Soccer Coach Jared Woodhouse said. Debry is originally from Thailand and is the son of Naratip and Sirirak Pingwattankul. He grew up loving soccer and knew he wanted to continue his education and career after playing for Cottonwood High School in Salt Lake City, Utah. In his two years playing for the Eagles, Debry held a captain position and led the Eagles in points with 21 goals scored and two game-winning goals in his career. He is a two-time-all-region XVIII performer and earned second team honors after leading the team in scoring with 12 goals during his 2018 fall season giving him total 27 points. In 2018, he also had three multi-goal-games and one game-winning-goal on the season. Debry said he was grateful for his time in Price and for the coaches who helped him progress as a player, including changing positions. “Coaches Bennett and Woodhouse helped me a lot with change my playing style and learning a new position,” he said. years, Woodhouse states that through hard work his new coaches will reward him with minutes. “We’ve enjoyed his intensity and believe that if he works hard that versatility will be seen again by his new coaching staff and he’ll get lots of minutes at Eastern Illinois,” Woodhouse said.